A senior U.S. official says the Russian delegation played its usual 'constructive, focused role' in the Iranian nuclear talks, Reuters reports. The senior U.S. official says 'now we are set to start drafting' a long-term Iran nuclear deal, according to Reuters. Iranian Foreign Minister Zarif says 'nothing can be imposed' on the Islamic state over its nuclear activities, Reuters reports. envisaged in the Joint Plan of Action. Nations for their support in hosting these negotiations in Vienna. Iran and six world powers began a new round of talks on Tuesday aimed at settling the dispute over Tehran's nuclear programme by late July, despite wide differences on how to attain that goal. The powers want Iran to scale back its uranium enrichment activity to deny it any capability to quickly produce an atomic bomb, if it decided on such a course. 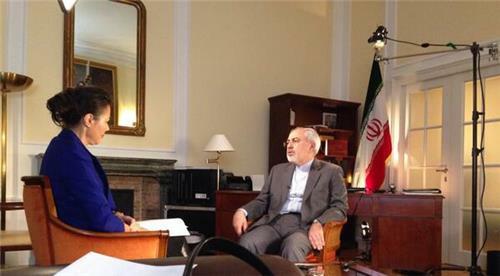 Iran says its nuclear programme is entirely peaceful and wants them to lift sanctions. 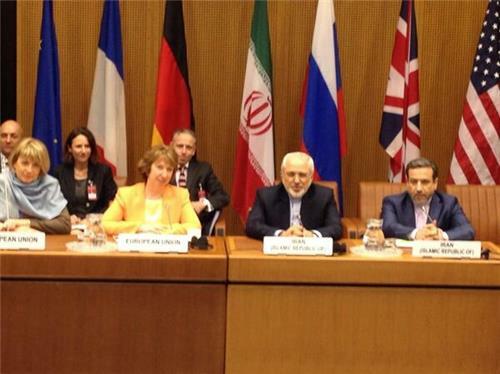 Chief negotiators from Iran, the United States, France, Germany, Britain, China and Russia started a two-day meeting around 9:45 a.m. at the U.N. complex in Vienna, where they have held two previous such sessions since February. 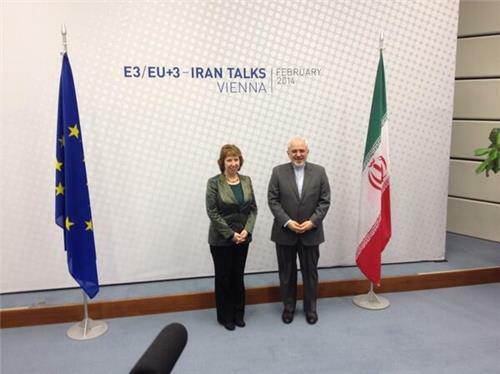 "We are involved in very detailed and substantial negotiations and we are trying as hard as we can to drive the process forward," the spokesman for European Union foreign policy chief Catherine Ashton, who coordinates the discussions on behalf of the powers, told reporters. Both sides say they want to start drafting a comprehensive agreement in May, some two months before a July 20 deadline for finalising the accord. 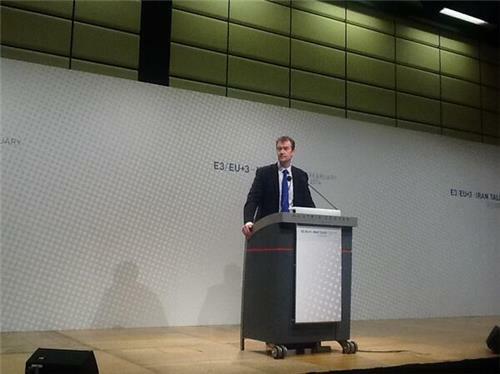 Western official say, however, that the parties are still far apart on key issues. "What matters most to us is that there is a good agreement. Clearly we want to make progress as fast as possible but the most important thing is the quality of the agreement," Ashton's spokesman, Michael Mann, said. "It has to be a good agreement that everyone is happy with. So we will work as hard was we can to achieve that." Iranian and U.S. negotiators are wary that any deal will face criticism from conservative hardliners at home wedded to confrontation since Iran's 1979 Islamic Revolution. The six nations have agreed internally to have a draft text of an accord by the end of May or early June, one diplomat from the powers said, adding however: "We're still in an exploratory phase ... In the end, things will happen in July." Tuesday's opening session was chaired by Ashton and Iranian Foreign Minister Mohammad Javad Zarif, but their deputies later took over. The Islamic Republic says its enrichment programme is a peaceful bid to generate electricity and has ruled out shutting any of its nuclear facilities. The United States and some other Western countries have accused it of working on developing a nuclear bomb capability. Israel has threatened to attack its long-time foe Iran if diplomatic efforts fail. Iran says it is Israel's assumed atomic arsenal that threatens peace and stability in the Middle East. The diplomat said issues to be discussed at the April 8-9 meeting included how the United Nations nuclear watchdog would verify whether Iran was meeting its end of any deal, suspected past atomic bomb research by Tehran, and how to deal with U.N. Security Council resolutions on Iran adopted since 2006. A senior Iranian negotiator, Deputy Foreign Minister Abbas Araqchi, said major issues discussed in previous meetings - Iran's level of uranium enrichment and a heavy-water nuclear reactor project at Arak - would also be debated. Refined uranium can be used to fuel nuclear power plants, Iran's stated purpose, but can also provide material for a bomb, which the West suspects may be Tehran's ultimate aim. The Arak reactor, once operational, can yield plutonium - another weapons-usable fissile material - but Iran says it only intends to use it for medical and agricultural research ends. The goal of the negotiations begun almost two months ago is to hammer out a long-term deal to define the permissible scope of Iran's nuclear programme in return for an end to sanctions that have hobbled the OPEC country's economy. In November, the two sides agreed an interim accord curbing some Iranian enrichment activities in exchange for some easing of sanctions. This six-month deal, which took effect on January 20, was designed to buy time for talks on a final accord. The talks can be extended by another half-year if both sides agree to do so, and negotiate the content of an extension deal. 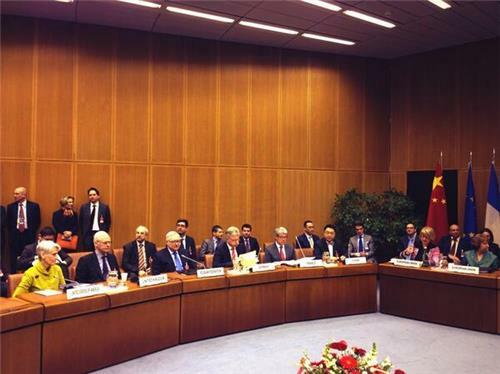 According to monthly IAEA data, Iran continues to implement the six-month deal with world powers, Reuters reports. As senior-level talks on Iran's nuclear program resume in Vienna this week, Mark Fitzpatrick — the director of the IISS non-proliferation and disarmament program — says negotiators are going to need a lot of luck. 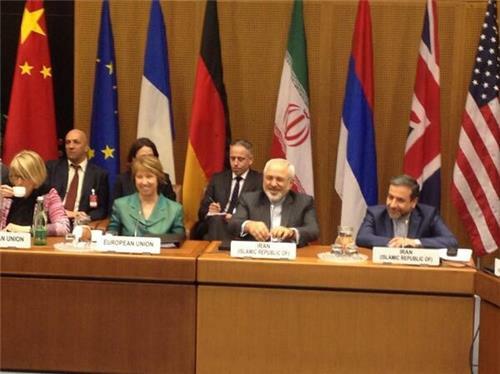 Senior-level talks on the Iran nuclear issue resume in Vienna this week amid a generally upbeat mood. The parties are rolling up their sleeves, staffing their teams and getting to grips with key issues. Long gone are the trying talks of the past: the frustrating spring 2012 meetings in Istanbul, Baghdad and Moscow during which Iran’s chief negotiator, the dreary Saeed Jalili, began every session with a sanctimonious sermon. President Hassan Rouhani’s team gets right to the point. The negotiating parties still do not have mutual trust, said an insider at a recent IISS workshop, but they have mutual respect. The issue is no longer whether Iran should be allowed to enrich uranium; it is how much, based on Iran’s practical need for enriched uranium. Questions concerning quantity are inherently negotiable. Similarly, on the issue of the Arak research reactor, Iran has already agreed, in principle, that the design could be adjusted to reduce the amount of weapons-grade plutonium that could be produced. Lowering the power of what is now designed to be a 40 megawatts (thermal) reactor won’t be enough to satisfy policymakers in key Western capitals. They want the reactor converted to use light water (which is to say, regular water) as a moderator and coolant, though they may be willing to allow heavy water to be used as a reflector. Making use of Iran’s heavy water could be a face-saving compromise. Again, such details are negotiable. The greatest convergence between the parties is over verification. Since the days of his election campaign, Rouhani has been ready to accept greater transparency. The increased tempo and scope of International Atomic Energy Agency (IAEA) inspections spelled out in the 24 November Joint Plan of Action is one reason I called it a surprisingly good deal. 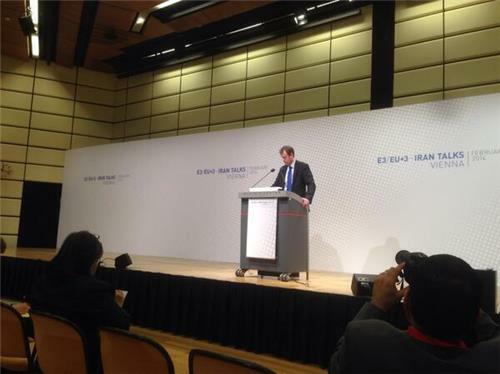 The comprehensive deal that is supposed to be negotiated by 20 July will require yet more transparency. If the Supreme Leader, Ayatollah Ali Khamenei, ever decides to reverse his fatwas against nuclear weapons and to break out of the Nuclear Non-Proliferation Treaty (NPT), the production of highly enriched uranium would more likely take place at a clandestine facility rather than at a declared site that is visited near-daily by inspectors. This is why the IAEA needs to be able to visit undeclared sites that it has reasonable grounds to suspect. Click here to read more of Fitzpatrick's blog post. Iran has pursued a longstanding effort to buy banned components for its nuclear and missile programs in recent months, a U.S. official said on Sunday, a period when it struck an interim deal with major powers to limit its disputed atomic activity. "We continue to see them very actively setting up and operating through front companies, falsifying documentation, engaging in multiple levels of trans-shipment ... to put more apparent distance between where the item originally came from and where it is ultimately going." Van Diepen did not say what sort of components Iran had sought to obtain or which part of a government known for having competing hardline and moderate factions was responsible. In the past, Western officials said Iran's elite Revolutionary Guards and the Defence Ministry - both hotbeds of opposition to any rapprochement with the West - were believed to control clandestine nuclear procurement efforts. Iran has one of the biggest missile programs in the Middle East, regarding such weapons as an important deterrent and retaliatory force against U.S. and other adversaries - primarily Gulf Arabs - in the region in the event of war. Its efforts to develop, test and field ballistic missiles, and build a space launch capability, have helped drive billions of dollars of U.S. ballistic missile defence expenditure, and contributed to Israel's threats of possible pre-emptive military action against Iranian nuclear installations. Iran and six world powers ended the opening round of nuclear talks on an upbeat note Thursday, with both sides saying they had agreed on a plan for further negotiations meant to produce a comprehensive deal to set limits on Tehran's nuclear ambitions. In a joint statement, they said the next round of negotiations would begin in Vienna on March 17, continuing a process likely to take at least six months and probably longer. Expectations had been modest as the talks started Tuesday, and the upbeat tone on a framework for future talks appeared aimed in part to encourage skeptics inside and outside Iran that the negotiations had a chance to succeed despite huge gaps between the Iranians and the six powers. The six want Tehran to agree to significant cuts in its nuclear program to reduce concerns it could be turned quickly to weapons use. Iran opposes cuts, saying its program is not aimed at building weapons. The U.S. and its partners say that Iran must come to an agreement if it wants a full end to sanctions crippling its economy. But a unilateral U.S. oil embargo on Iran is expected to remain in place even if a long-term nuclear agreement between Tehran and the six powers is reached, a U.S. official told Reuters. 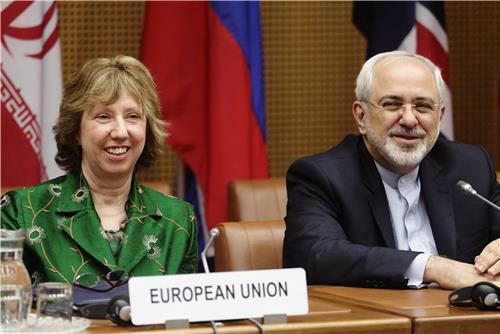 "We have ... identified all of the issues we need to address for a comprehensive and final agreement," said Catherine Ashton, the EU's top diplomat who convened the talks between Iran and the United States, Russia, China, Britain, France and Germany. "It won't be easy, but we've gotten off to a good start," she said in a statement read later in Farsi by Iranian Foreign Minister Mohammad Javad Zarif. According to a U.S. official, the U.S. domestic oil embargo on Iran is expected to remain in place even if there is a comprehensive nuclear deal with Tehran, Reuters reports. According to the State Department, Wendy Sherman, the head of the U.S. delegation at the Iran nuclear talks, is slated to visit Israel, Saudi Arabia, and UAE on Feb. 21-25 to discuss Iran and other issues, Reuters reports. 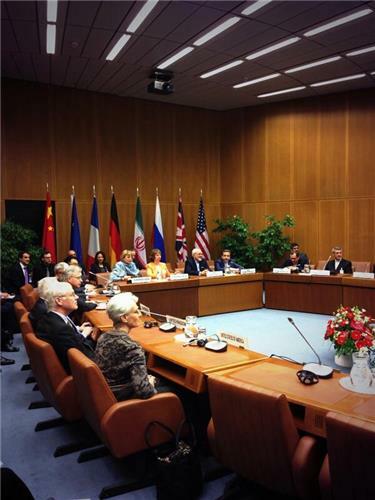 According to The Associated Press, Iranian nuclear talks have adjourned until March 17. State Department spokeswoman Marie Harf is briefing reporters in Vienna and appears optimistic about the nuclear talks thus far. So far, very little news has leaked from the talks. All reporters on the ground have really been able to ascertain is that an agreement on a framework for the talks has not yet been reached but parties are trying to reach such an agreement. Head of #Iran expert team walking out said experts meeting ended for tonight. Ryabkov to Fars: We are still in the beginning. Talks to continue this evening. Addressing basaltic issue is difficult for #Iran side. Getting sense that #Irantalks will probably continue today and wrap up in am. The spokesperson for the United Nations Secretary-General Ban Ki-moon pushed off many questions about Iran at his daily briefing, saying the UN doesn't have a specific role at the ongoing nuclear negotiations. Talks are between the P5+1 and Iran, he stressed. During the daily briefing, the spokesperson for the United Nations Secretary-General Ban Ki-moon was asked if the UN was doing anything to keep human rights on the table. The spokesperson said the UN doesn't have a specific role in the ongoing talks and called the nuclear deal and human rights are different issues. According to The Associated Press, Iran has refused to scrap any of its nuclear facilities. Iran drew a red line on Tuesday on how far it would go at landmark nuclear talks, saying as the meeting opened that it would not buckle to pressure from the U.S. and five other world powers to scrap any of its nuclear facilities. The statement by Deputy Foreign Minister Abbas Araghchi suggested tough talks ahead, constituting a rejection of a central demand by the six countries. The talks are designed to build on a first-step deal that came into effect last month and commits Iran to initial curbs on its nuclear program in return for some easing of sanctions. The deal can be extended, if both sides agree to do so after six months. Iran insists it is not interested in producing nuclear weapons, but the six powers want Tehran to back its words with concessions. They seek an agreement that will leave Iran with little capacity to quickly ramp up its nuclear program into weapons-making mode with enriched uranium or plutonium, which can be used for the fissile core of a missile. For that, they say Iran needs to dismantle or store most of its 20,000 uranium enriching centrifuges, including some of those not yet working. The six powers also demand that an Iranian reactor being built be either scrapped or converted from a heavy-water setup to a light-water facility that makes less plutonium. According to a background briefing from the State Department, daily access by the International Atomic Energy Agency to Iran's enrichment facilities has begun. QUESTION: Hi. I’m Takashi with NHK Broadcasting. As far as an implementation of the first measures is concerned, are you satisfied with the pace and scope of Iranians’ implementation so far? And are you going to talk about it tomorrow? SENIOR ADMINISTRATION OFFICIAL: Tomorrow is focused on beginning the negotiation of the comprehensive agreement, not to look backwards at the JPOA. 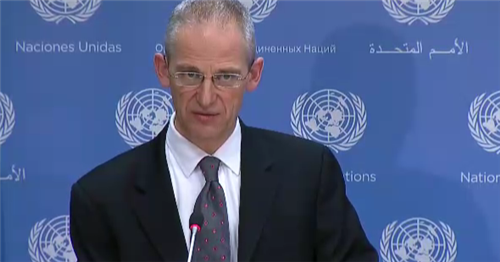 As I said, the IAEA will be providing a monthly report verifying the monitoring is done and all of that is taking place. I think Dr. Timbie told me that, in fact, the daily access is now daily. I know from Richard Nephew, who also works on the sanctions, that we’ve put pieces in place. And obviously Adam Szubin here from Treasury – all of that is going forward. So I think, gentlemen, you would say satisfied that things are being implemented. Yes. Six world powers and Iran began talks in Vienna on Tuesday in pursuit of a final settlement on Tehran's disputed nuclear program in the coming months despite warnings from both sides that a deal may prove impossible. Expected to last two or three days, the meeting is the first since the powers - the United States, Russia, China, France, Britain and Germany - struck an interim accord with Iran in November under which Iran scaled back its most sensitive nuclear work in return for some sanctions relief. In a final deal, Western governments want to define the permissible scope of an Iranian nuclear program and resolve their concerns that Tehran is seeking the capability to build an atomic bomb. Iran, which denies having any such goal, wants the complete removal of painful economic sanctions imposed by Washington, European governments and the United Nations.